Aspirants must have completed their graduation. Applicants perusing two year diploma in Elementary Education are also eligible to apply. Senior Secondary with at least 50% marks and passed or appearing in final year of four-year B.A./ B.Sc. Ed. or B.A. Ed./ B.Sc. Ed. Step 1: Open cgvyapam.choice.gov.in that is the official website of Chhattisgarh Professional Examination Board (CGPEB). Step 2: Now take your cursor towards “Important information” section. 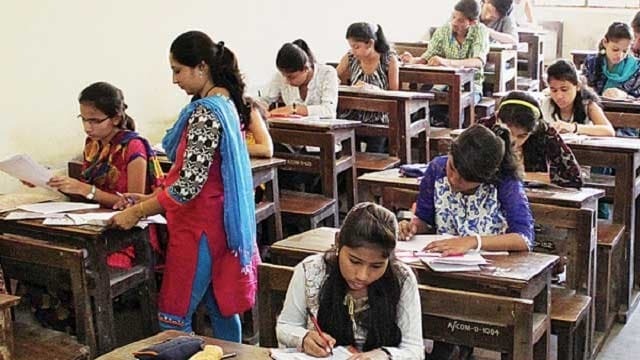 Step 3: Thereafter hit on the “Teacher Eligibility Test (TET) - 2019 under State Educational Research and Training Council, Chhattisgarh” link. Step 4: All the important links regarding CG TET 2019 will appear at your screen. Step 5: Hit on the “Vyapam Pariksha Nirdesh-TET19” to check official notification. Step 6: Open the notification details and read all the details carefully. Step 7: Thereafter go back to the previous page and hit on the Online Application Form- TET19” link. Step 8: Fill the application form in the prescribed format and upload required documents. Step 9: Pay the fee and submit the form. Step 10: Finally take a print out of filled application form for the future reference.